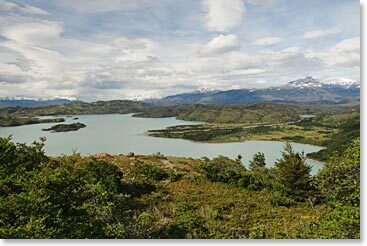 Our Patagonia trip itinerary is new and improved! We visit the same spectacular locations, hike the same world renowned trails and stay in the same unique lodges, but this year we have reversed the order of the visit to give you more time to enjoy the sights and sounds of the region. From the penguin colonies of the Magdelena Islands off the southern end of South America to the jagged peaks of Torres del Paine National Park and the floating glaciers of Argentina’s Glacier National Park, you won’t want to miss a thing! 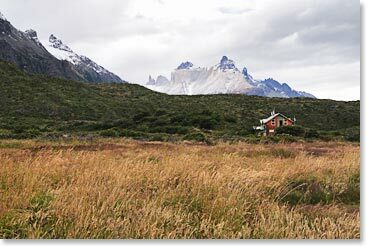 Trip highlights include: dining in the historic Jose Nogueira Hotel where Sir Ernest Shackleton negotiated the rescue of his stranded ship, touring by boat to Magdelena Island and to see the glaciers of Glacier National Park in Argentina, hiking along the highly regarded “W” Trek of Torres del Paine National Park, and trekking to the base of Mount Fitzroy. We would be pleased to also help you plan an extension of your trip to visit Antarctica or tour Buenos Aires, where our trip begins and ends. Staying true to Berg Adventures form, we stay in gorgeous lodges, eat delicious food and travel with fantastic guides. Our Patagonia trip is perfect for people looking for a less strenuous adventure than many of our climbs and treks, or for people who just want to experience the wonders of Patagonia! It is also a great trip for fall when days are gray and growing shorter, because in Patagonia the flowers will just be starting to bloom and the days will be getting longer. We’d love to have you join us! 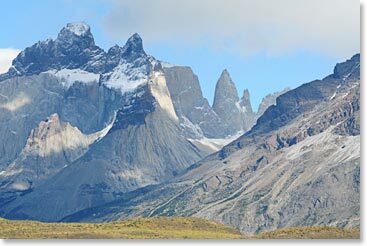 To get more information about the trip, please view our previous Patagonia expedition dispatches and visit the Berg Adventures Patagonia trip description page.